The Yobe Task-force on Immunisation and Primary Healthcare on Monday expressed concern over the threat posed by environmental polio samples collated in Fika and Gadaka communities in the state. 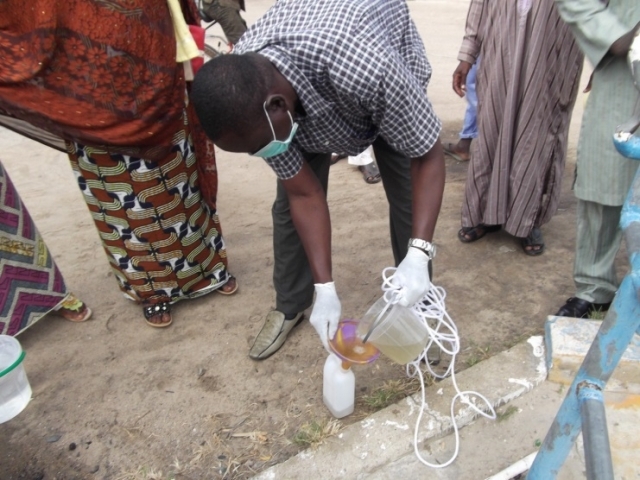 Dr Mohammed Lawan-Gana, the Executive Secretary, Yobe Primary Healthcare Management Agency, stated this at a sensitisation campaign in the affected communities. He confirmed that immunisation coverage in these areas had dropped to between 50-53 per cent, given credence to the reason for the presence of environmental polio samples in drainages in these communities. Alhaji Abubakar Aliyu, the state’s Dep. Gov. and chairman of the task force, said the multiple indicators from cluster survey, showed that many children were not vaccinated, thereby exposing them to killer diseases. Aliyu said the state government and development partners, including Bill and Melinda Gates, and Dangote foundation, entered into Community Engagement Strategy to enhance the polio coverage. According to him, through the agreement, representatives from the 14 emirate councils across the state have been trained to engage their communities on effective immunisation of children. The chairman directed emirs to engage district and village heads to mobilise their subjects, fill the gaps and monitor every birth and immunise them against killer diseases in their communities. “You should please step-up action and engage community leaders to improve immunisation coverage and track down those who have not completed their vaccination schedules,” Aliyu said.